All-Way Wire Rope and Splicing, Inc. is a family owned company servicing the St. Louis area with services like chain sling inspection. We believe in treating our customers as we would our friends by providing them with a personal experience every time we work with them. Our team has also built the reputation as one of the leading manufacturers and distributors of rigging and material handling products. The professionals at All-Way Wire Rope and Splicing, Inc. can perform needed services like chain sling inspection to your business in St. Louis. Our team is knowledgeable in all things involving rigging including chain sling inspection services. The friendly and helpful chain sling inspection experts will make sure you’re working safer and more efficiently in no time. If you would like to find out more about chain sling inspection in St. Louis, please call the experts at All-Way Wire Rope and Splicing, Inc. today at 800-920-3330. You can also get in touch with one of our knowledgeable representatives by simply filling out the online request form on this page. At All-Way Wire Rope and Splicing, Inc., we view it as our duty to make sure your rigging equipment is compliant and safe to use. Our team of expert technicians will help ensure that you are operating your rigging equipment safely and in the most efficient way possible. 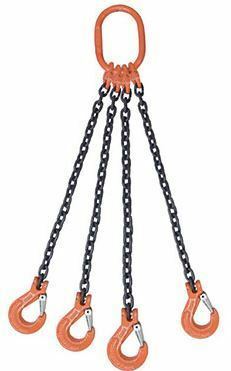 We can even provide you and your business with a chain sling inspection report for your own documentation purposes. All-Way Wire Rope and Splicing, Inc. also makes any and all documentation available to our customer 24/7 on our website. All-Way Wire Rope and Splicing, Inc. offers a budget friendly chain sling inspection solution to our clients in the St. Louis area. We take pride in offering affordable chain sling inspections when compared to our top competition in St. Louis. For more information on the chain sling inspection available in St. Louis, please contact All-Way Wire Rope and Splicing, Inc. today at 800-920-3330. You may also reach out to any of our knowledgeable representatives with any questions that you have by simply filling out the online request form on this page.